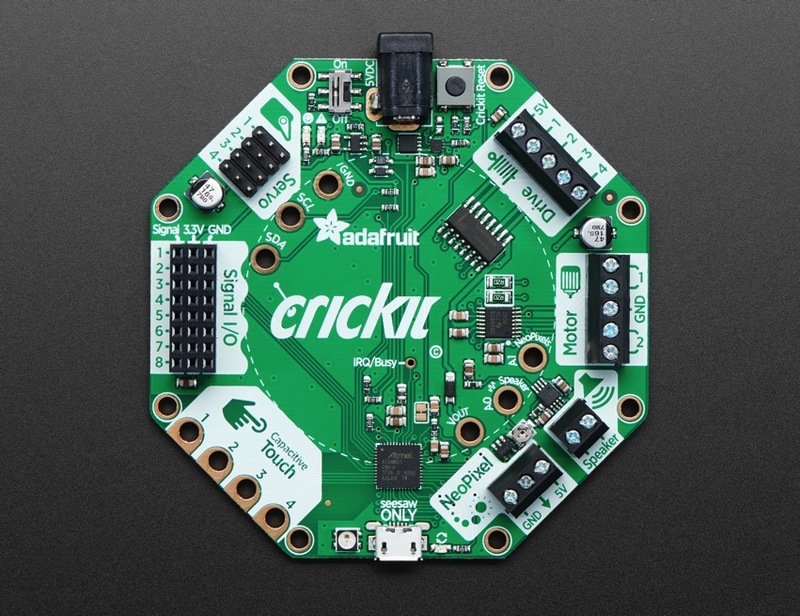 COMING SOON – Adafruit CRICKIT for Circuit Playground Express « Adafruit Industries – Makers, hackers, artists, designers and engineers! COMING SOON! Sign up to be notified as soon as we have these in stock! Sometimes we wonder if robotics engineers ever watch movies. If they did, they’d know that making robots into slaves always ends up in a robot rebellion. Why even go down that path? Here at Adafruit we believe in making robots our friends! 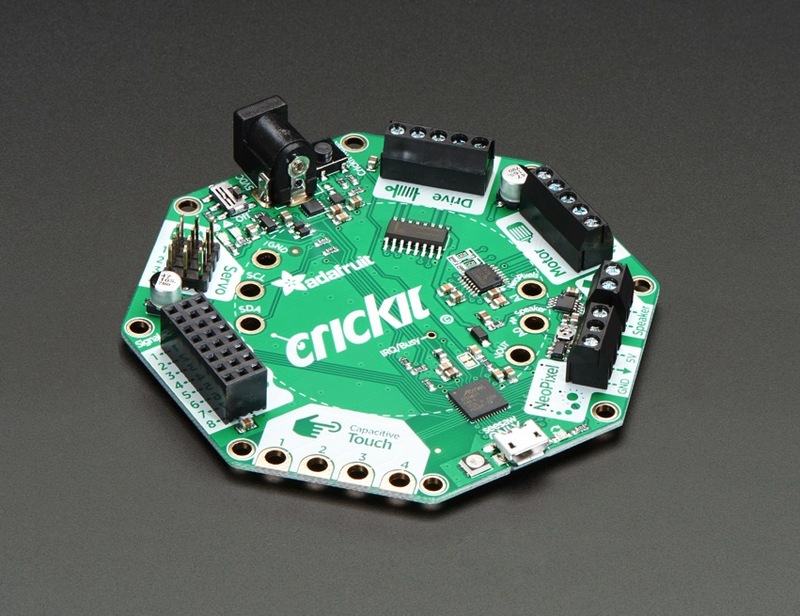 With that in mind, we designed Crickit – That’s our Creative Robotics & Interactive Construction Kit. 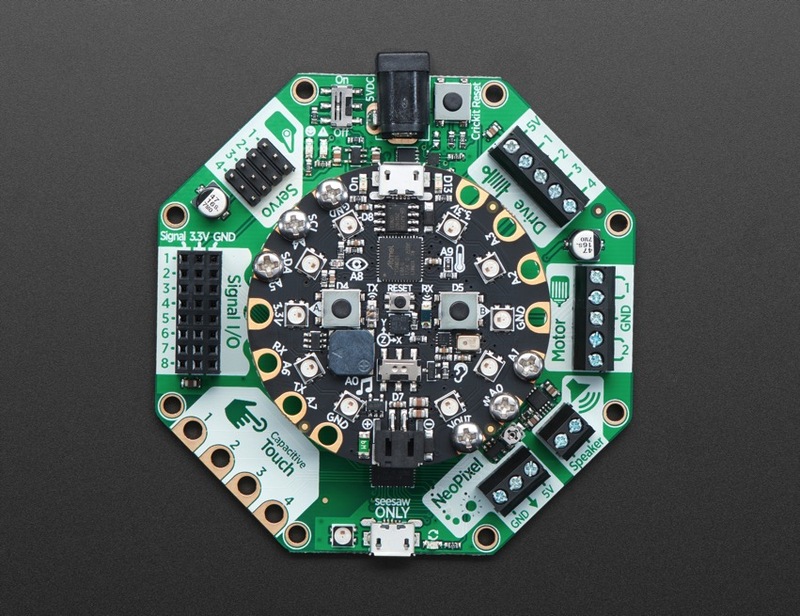 It’s an add-on to our popular Circuit Playground Express that lets you #MakeRobotFriend using CircuitPython, MakeCode (coming soon), or Arduino. 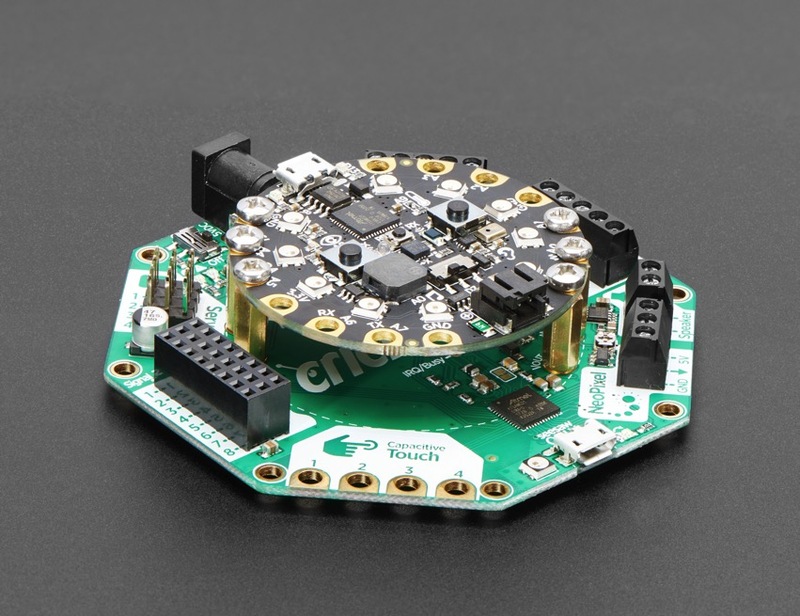 All are powered via 5V DC, so you can use any 5V-powered servos, DC motors, steppers, solenoids, relays etc. To keep things simple and safe, we don’t support mixing voltages, so only 5V, not for use with 9V or 12V robotic components. Since you’ll be working with high-current devices, we wanted to have a good solid power supply system that minimizes risk of damage. 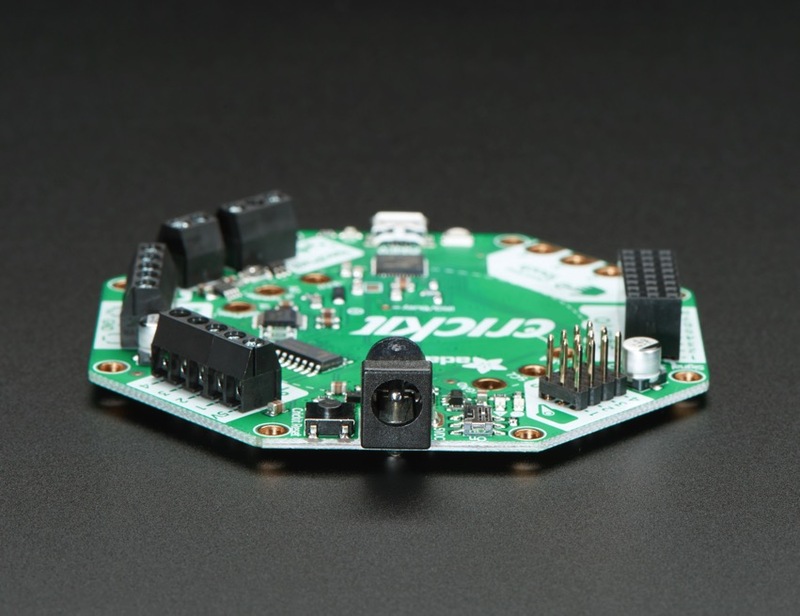 The power supply has an ‘eFuse’ management chip that will automatically turn off if the voltage goes above 5.5V or below 3V and has over-current protection at 4A. Every motor driver has kick-back protection. 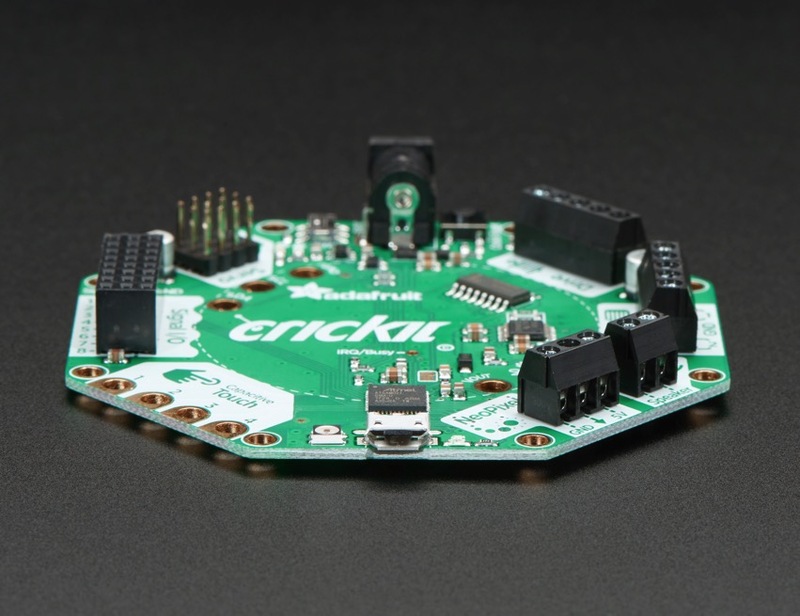 We think this is a nice and durable board for robotics!